VALLETTA, Malta -- The German captain of a private ship that rescues migrants in the Mediterranean Sea pleaded innocent Monday to charges that he entered Malta's waters illegally and without proper registration, a case that reflects Europe's heightened determination to keep asylum-seekers from reaching the continent. 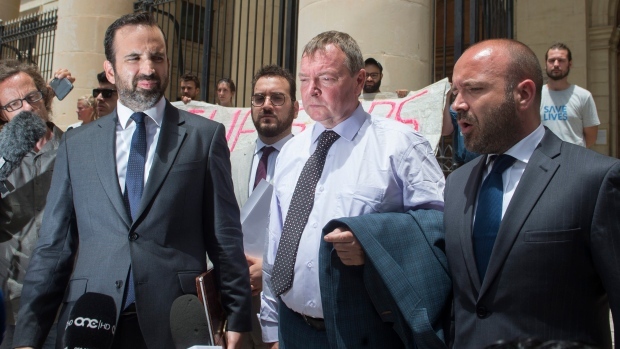 At Claus-Peter Reisch's arraignment in the island nation's capital, Valletta, prosecutors also asked a magistrate to order the confiscation of the vessel he directed to Malta, the Lifeline. The boat's crew picked up 234 migrants in waters off Libya last month. The destination of the rescued passengers became the subject of a dispute among European nations. Malta last week gave the ship safe harbour, but only after Italy and seven other nations, in addition to Malta, pledged to each take some of the migrants. Several hundred thousand migrants have arrived in Italy after being rescued at sea in recent years, many of them ferried to shore by private rescue boats. The right-wing interior minister in Italy's new, populist government, Matteo Salvini, has vowed that no more such vessels will dock in Italian ports. The Lifeline, which was operated by German aid group Mission Lifeline, was the second aid boat caught in the Italian crackdown. On Saturday, a third ship, Open Arms, run by a Spanish aid group, plucked 60 migrants to safety from a dinghy launched by Libya-based human traffickers. Italy and Malta traded jabs about which of the two countries should let Open Arms dock. In the end, Spain agreed to let the vessel dock in Barcelona. The Open Arms was south of the Italian island of Sardinia Monday, some 300 nautical miles from its destination. The aid groups say they are determined to save lives. "We did the right thing," Lifeline Captain Claus-Peter Reisch after the arraignment, where his bail was set at 10,000 euros ($11,600) and he was ordered to surrender his passport and to report to a police station weekly. The 57-year-old German was charged with using the boat in Maltese waters without proper registration or license. That charge also incorporates the allegation of entering Maltese waters illegally. If convicted, he could be fined and sentenced to up to 12 months in jail. "I don't think I have done anything unlawful. I saved 234 lives and assisted in two other rescue operations" with Mission Lifeline, Reisch said. Defence lawyer Cedric Mifsud told reporters this his client and the Lifeline appeared to be a "scapegoat" for the squabbling among European Union countries over how to manage the flood of migrants to Europe's southern shores. 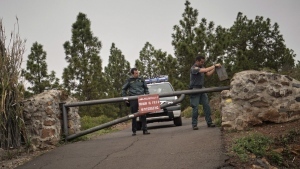 "What we hope is that this case is not a symptom of the current Mediterranean climate, where governments are closing the EU's borders and targeting rescue NGOs for doing the jobs that governments should be doing," Mifsud said. He added that supporters of the rescue ship's crew "we suspect the Maltese government is picking on the Lifeline incident to make a political statement at (the) Brussels level that borders need to be closed." While tiny Malta has taken in relatively few rescued migrants in the last few years, aid group vessels have taken advantage of the tiny island nation's strategic location between Sicily and Libya to make port calls for fresh supplies or crews. But the Maltese government declared last week was closing its ports to all humanitarian rescue ships pending the outcome of its investigation of the Lifeline. Officials have said they want to determine if aid groups operate the ships according to national and international laws. Some members of Lifeline's crew turned up at Valletta's courthouse wearing T-shirts printed with "Save Lives." They held a white sheet emblazoned with the phrase, "Rescue ships blocked. More than 400 dead," outside the courthouse. The phrase apparently referred to the many migrants who are believed to have drowned in recent days off Libya. Italy and its EU partners have maintained it's the job of the Libyan coast guard to perform rescues in its search-and-rescue area. Private aid groups contended that lives were lost because their rescue boats either aren't at sea due to legal woes like the Lifeline's or because Italy's coast guard says those rescues are Libya's responsibility. The Libyan coast guard, already given training, motorboats and equipment from Italy, says it needs more aid to properly save lives. In comments to journalists, Reisch, the Lifeline's captain, questioned the Libyan coast guard's competence and professionalism. "Their ships are carrying neither lifejackets nor medical containers" (kits).